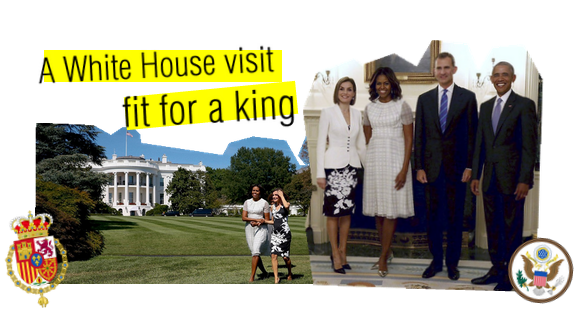 King & Queen of Spain’s US Tour: First stop, Washington D.C.
King Felipe and Queen Letizia of Spain are currently on a US tour. They kicked it off with a visit to Capital Hill. Washington, D.C., is getting the royal treatment this week as the city plays host to Queen Letiziaand King Felipe of Spain. The glamorous couple – who rose to the throne after Felipe’s father, King Juan Carlos, abdicated in 2014 – are on a four-day tour of the U.S., starting in the nation’s capital. You can see more photos from their time in Washington, D.C. here. 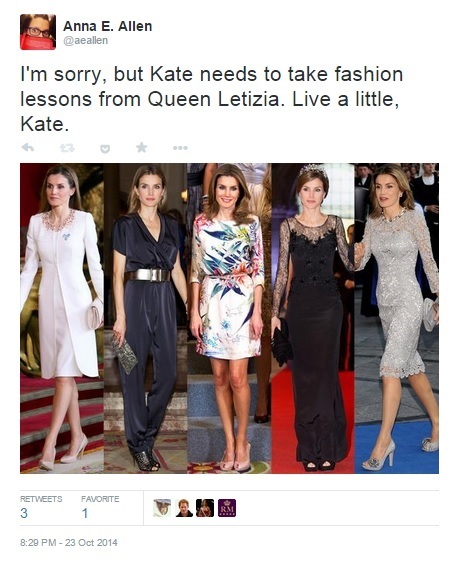 Last night upon seeing Kate’s latest look from her latest event, I tweeted without thinking. I tweeted it from my personal account, which I use for a lot of “thinking out loud,” as Twitter is seemingly designed for. More than anything, I wanted to highlight how fierce Queen Letizia is, and to bring my followers’/friends’ attention to it. Then Regal Media was kind enough to retweet it. Which was pretty cool. And a few people agreed. 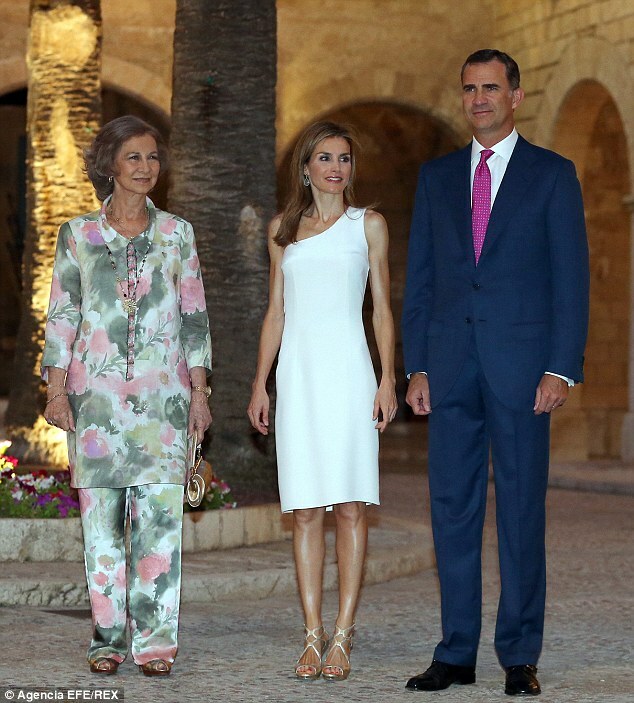 One word regarding Queen Letizia: FLAWLESS. 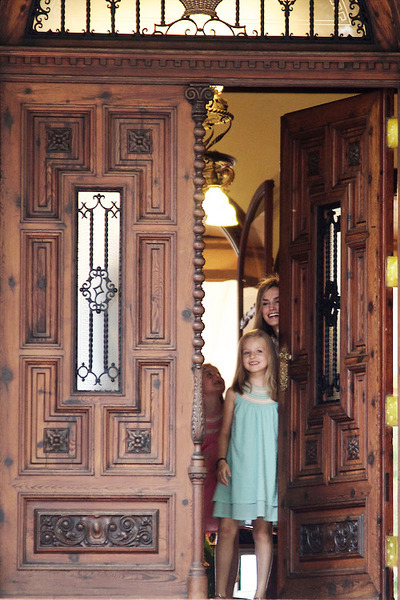 King Felipe, Queen Letizia, and their daughters Leonor, Princess of Asturias, and Infanta Sofia are currently on vacation in Palma de Mallorca. They posed for photographers on the steps of Marvient Palace — then, they met and thanked the press. I’ve been wanting to start this series for a while now, and on the heels of Monday’s abdication announcement, I figured it’d be a perfect time to start. 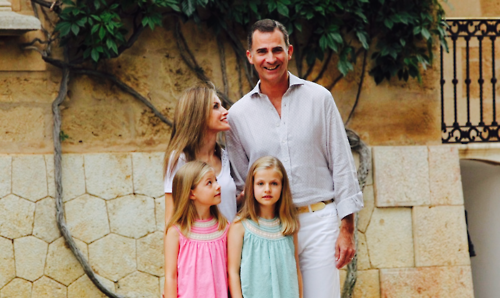 Let’s start with one of my personal favorites from commoner-to-royalty story, that of Letizia, Princess of Asturias, soon-to-be Queen (consort) of Spain. Letizia is the oldest of three sisters, one of whom passed away in 2007 after a battle with severe depression. She followed in her father and grandfather’s footsteps and pursued a career in journalism. She completed her Bachelor’s Degree and a Licentiate’s Degree in Sciences of the Information, in the branch of Journalism, at the Complutense University of Madrid. She also earned a Master’s Degree in Audiovisual Journalism at the Institute for Studies in Audiovisual Journalism. After her studies, she went to work in Guadalajara, Mexico at a newspaper, then returned to Spain and quickly moved up the ranks of professional journalists. She soon became one of the most popular news anchors in Spain. She reported live from Ground Zero, as well as Iraq and the US Elections of 2000. One of the more “controversial” aspects of her life has been her previous marriage. In 1998, she married her boyfriend of nearly ten years, professor and author, Alonso Guerrero. They divorced in 1999, and, since having had only a civil service, their marriage was not recognized by the Roman Catholic Church. 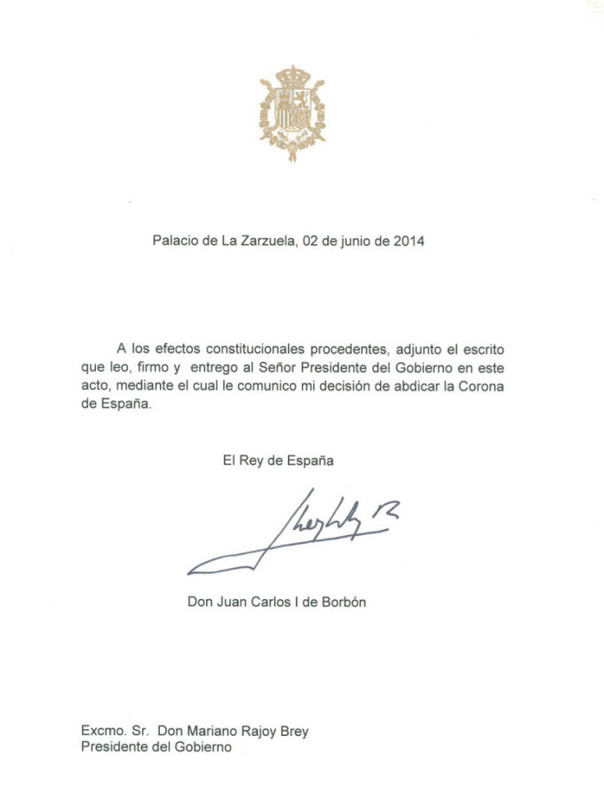 This made it possible for her to marry Prince Felipe in a Catholic Church without an annulment. 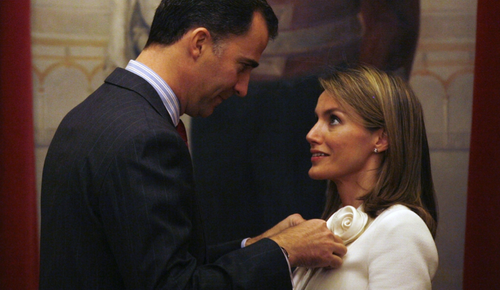 In 2002, she first met Prince Felipe at a dinner party, however, it wasn’t until meeting a few months later during one of her news assignments that the Prince asked her on a date. It’s alleged she turned down his first four attempts, she was not wanting to start a relationship with such a high-profile person, especially since she had recently been promoted at her job. It’s not said what exactly caused her change of heart, but after meeting with the Prince it seemed to be a relatively swift courtship. 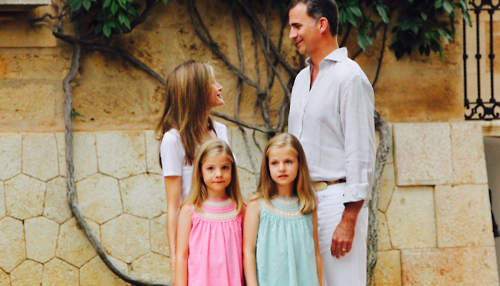 Though facing much opposition from his father, Prince Felipe proposed to Letizia in 2004, a few days after she had quit her job. She faced a lot of push back the first few years. Though many praised the Prince’s choice of an independent commoner to be their someday Queen, many found her to be a bit cold and snobby. Her cousin recently penned a book which reveals many “secrets” of the Princess, including claims that she had an abortion, and has become “obsessively” concerned with people leaking stories to the press. Letizia has attended 190 official events and has had 107 audiences without her husband (and the number continues to grow quickly). Now a mother to two beautiful girls, she splits her time between royal engagements/patronages and being a mom. 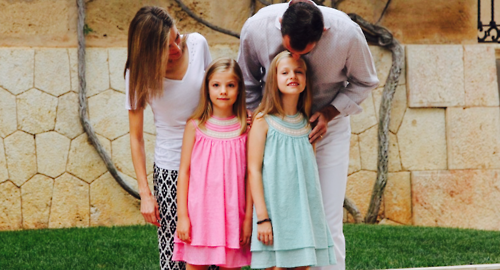 She and Prince Felipe often walk the girls to school together. She is a hardworking, independent woman, who found success before royalty, and certainly has since. 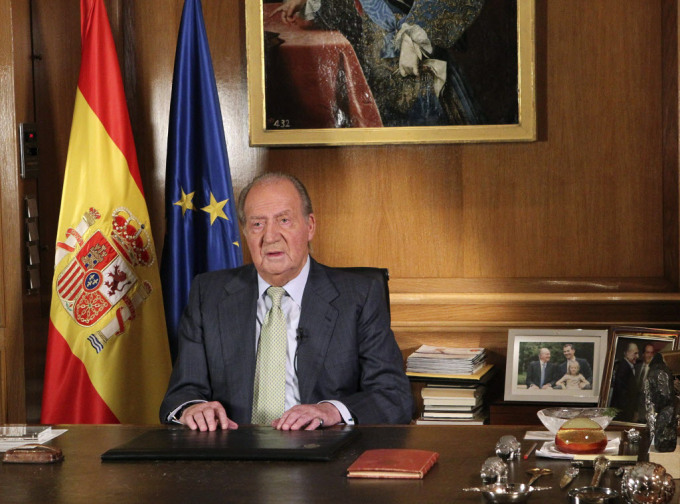 While most were transfixed to their television screens last night watching the fictional Game of Thrones, those on the Spanish court were preparing the announcement of the latest move of their own throne. 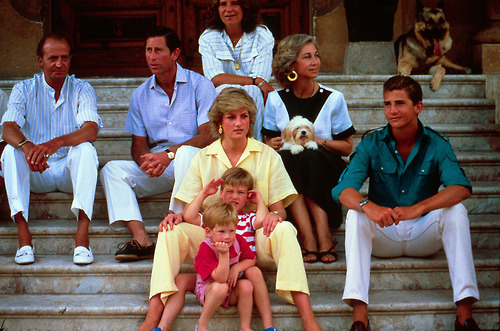 Admittedly a shock to most royal watchers, King Juan Carlos I had been swimming in more and more controversy as of late, and abdication had been a topic of more discussion. Though many Swedes reportedly wish their King–King Carl XVI Gustaf–to do the same, it’s quite unlikely. He is still young (68), respectively, and Crown Princess Victoria still has a young, growing family. Crown Prince Frederik is known as ‘the reluctant King,’ so I think the same is to be said for the Danish royals–not just yet. As pointed out by many on Twitter, every heir (aside from CP Victoria) will soon be under 12 years old, except for England, where the heir is nearly 70. 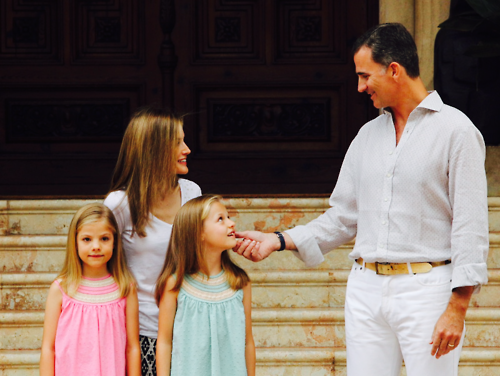 Nonetheless, an exciting day for royal news, especially soon-to-be King Felipe VI and Queen Letizia*! Queen Sofia of Spain embraces former Queen Beatrix of the Netherlands. 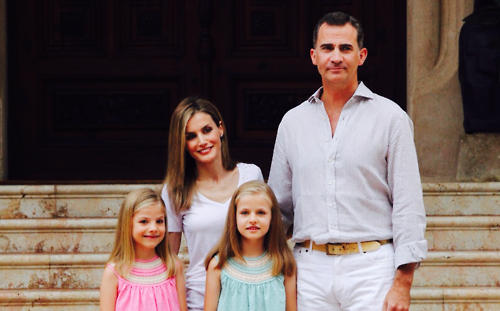 Happy 10 year wedding anniversary to Crown Prince Felipe and Crown Princess Letizia!